Acanthocytes (from the Greek word acantha, which means thorn), or spur cells, are spiculated red cells with a few projections of varying size and surface distribution (see the images below). The cells appear contracted, dense, and irregular. The morphology of acanthocytes in these various conditions is similar, but the pathogenesis and clinical context often greatly differ. In general, the formation of acanthocytes depends on alteration of the lipid composition and fluidity of the red cell membrane. Acanthocytes should be distinguished from echinocytes (from the Greek word echinos, which means urchin). Echinocytes, or burr cells, appear with multiple small projections that are uniformly distributed on the red cell surface (see the image below). Echinocytes occur in many conditions, including malnutrition associated with mild hemolysis due to hypomagnesemia and hypophosphatemia, uremia, hemolytic anemia in long-distance runners, and pyruvate kinase deficiency. In vitro, elevated pH, blood storage, ATP depletion, calcium accumulation, and contact with glass can lead to formation of echinocytes. Mutations in the VPS13A gene cause chorea-acanthocytosis. The VPS13A gene provides instructions for producing a protein called chorein; the function of this protein in the body is unknown. Some researchers believe that chorein plays a role in the movement of proteins within cells. Most VPS13A gene mutations lead to the production of an abnormally small, nonfunctional version of chorein. The VPS13A gene is active (expressed) throughout the body; it is unclear why mutations in this gene affect only the brain and red blood cells. What are the Risk Factors for Acanthocytosis? What are the Causes of Acanthocytosis? In Acanthocytosis, the concentration of a lipid (called phosphatidylcholine) decreases, cholesterol and sphingomyelin content increases. The cells appear contracted, dense, and irregular. The morphology of the cells is similar during conditions such as abetalipoproteinemia, liver disorders, McLeod syndrome, hypothyroidism, infantile pyknocytosis, neonatal hepatitis, and Zieve syndrome. 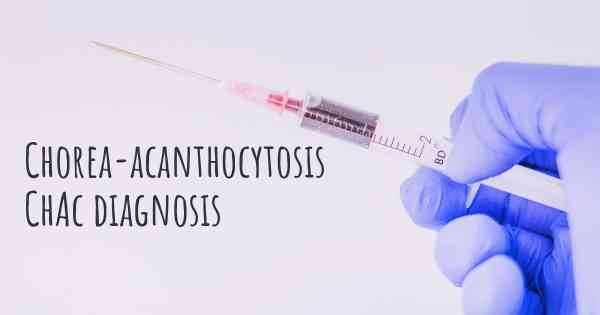 What are the Signs and Symptoms of Acanthocytosis? What are the possible Complications of Acanthocytosis? How can Acanthocytosis be Prevented? Active research is currently being performed to explore the possibilities for treatment and prevention of inherited and acquired genetic disorders.